We believe that school uniform helps us to create a sense of belonging and a calm working atmosphere. It promotes an image that shows our school community off to advantage when assembled together or when away from school on educational visits. We have a dress code of bottle green jumpers, cardigans or sweatshirts with the Hollywood School logo; conventional white shirts or blouses worn with the school tie or white polo shirt with Hollywood logo worn without a tie; grey trousers or grey skirts and black shoes. In summer girls may wear green checked or striped summer dresses. Children should have hats and cover for arms in summer as protection against the sun. The children can wear summer uniform after the Easter break to the end of September. Patterned T-shirts, Bermuda shorts or cycle shorts and tracksuits are not permitted. Please make sure children wear suitable plain footwear without high heels. It is very important to ensure all clothing is well labelled at all times – especially new clothing or where the names are wearing off older items. All children must wear their P.E. clothes on the day their class does P.E. The children no longer get changed at school. This dress code is enforced to help stop the pressure on pupils to wear (and on the parents to provide) the latest expensive fashion sportswear. In this instance, a P.E. 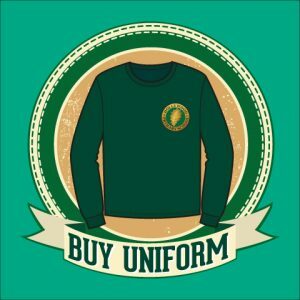 uniform is considered to be a great “status leveller”. Therefore no exceptions will be made except for cultural or religious reasons. For safety reasons, it is imperative that the indoor dress code is followed for gymnastics lessons. Under no circumstances should children wear tracksuit trousers, tights or socked feet, as this can be dangerous. Barefoot work is encouraged indoors in dance and gymnastics. This enables feet to become stronger and allows more sensitive footwork to be developed. If your child is swimming then a swimming costume of conventional design together with a towel and waterproof carrier is required.